Love the design, the waves, every thing. Great attention to detail! 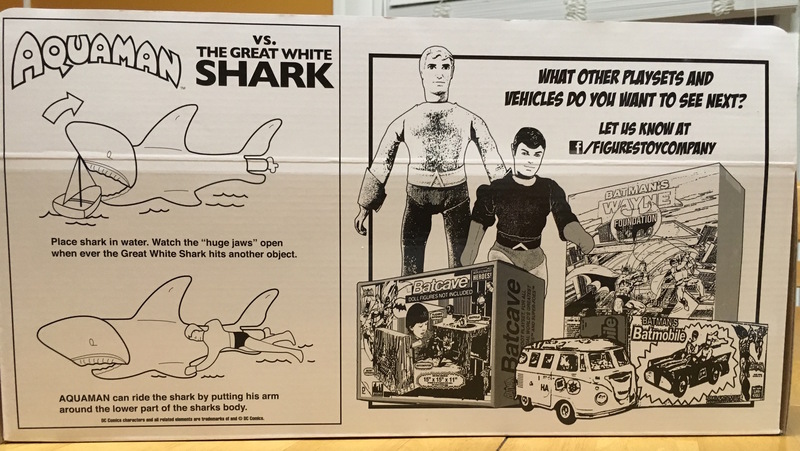 The swift and powerful monarch of the ocean returns with perhaps the most ’70s of Mego playthings — the Great White Shark. And Figures Toy Company, the main modern purveyors of Mego replicas, has you covered. 1. 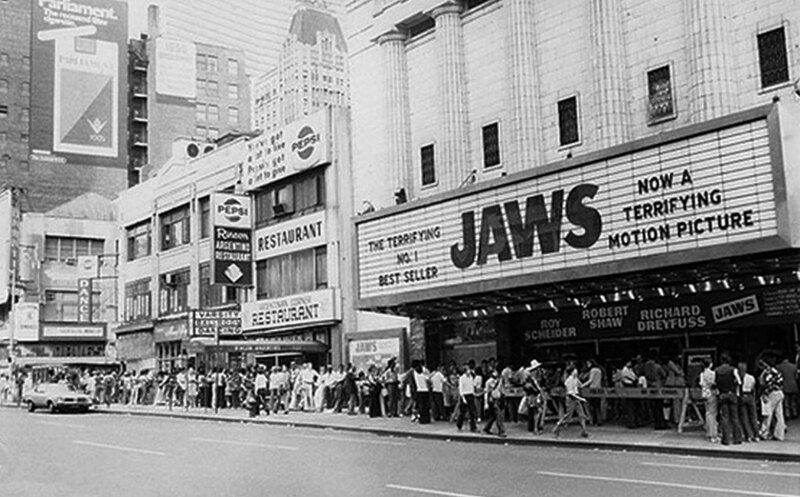 The shark set is brilliantly emblematic of its time. 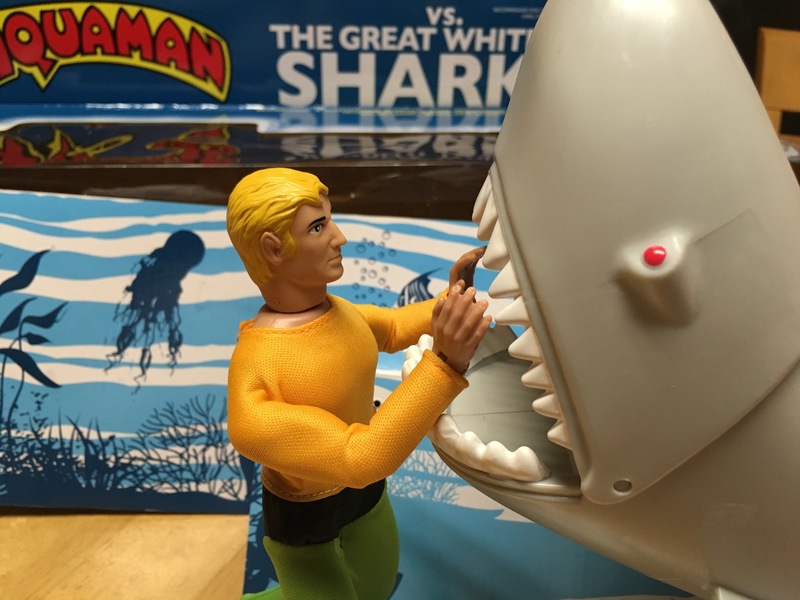 The Mego folks capitalized on Jawsmania, producing the de rigeur maritime monster in the wake of Steven Spielberg’s cinema juggernaut. It was the perfect pairing of hero and adversary. 2. 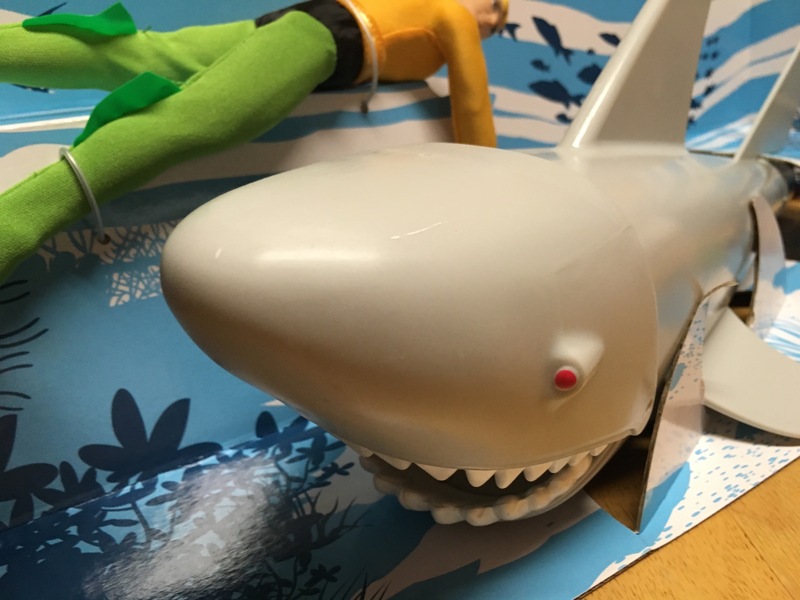 Though presumably, Aquaman could tell Bruce the Shark to just chill. Because, y’know, he commands all sea life. 4. But this is pretty close. And I mean that in the best way. See, the unintended brilliance of the Mego design is its hokeyness: the oven mitts, the shortcuts, the casual willingness to go off-model on occasion. 5. And I appreciate that Figures Toy has resisted the urge to “improve” the designs like Mattel did a few years ago. 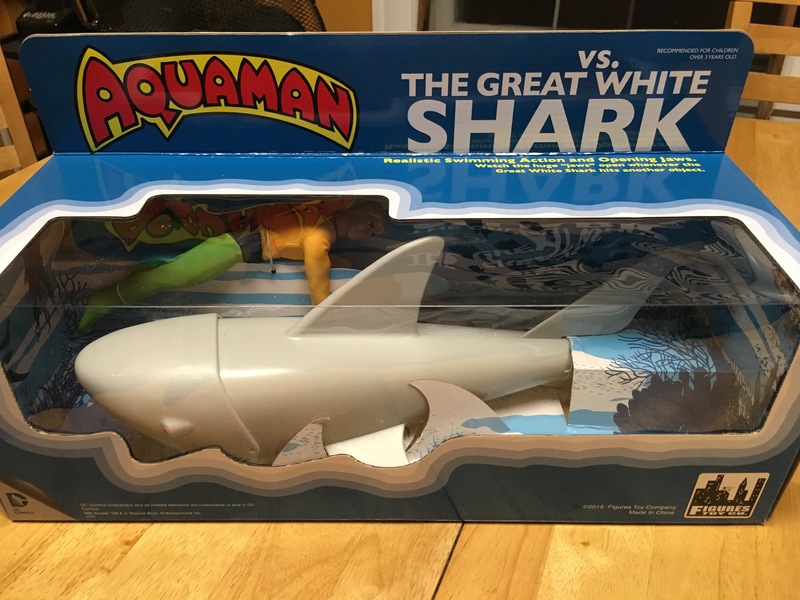 So we get a special Aquaman here with webbed hands and nylon black “shorts,” like the rare variants dedicated collectors try to track down. 7. 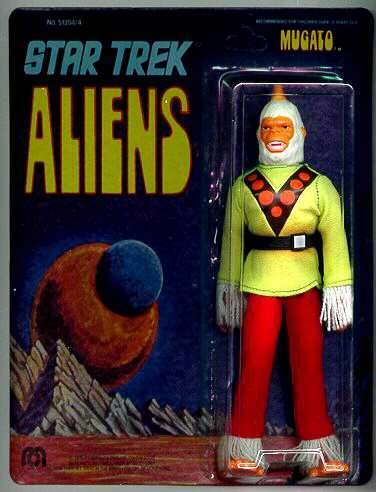 Still, I imagine there are plenty of self-serious, self-appointed keepers of the Mego Flame out there who will object. 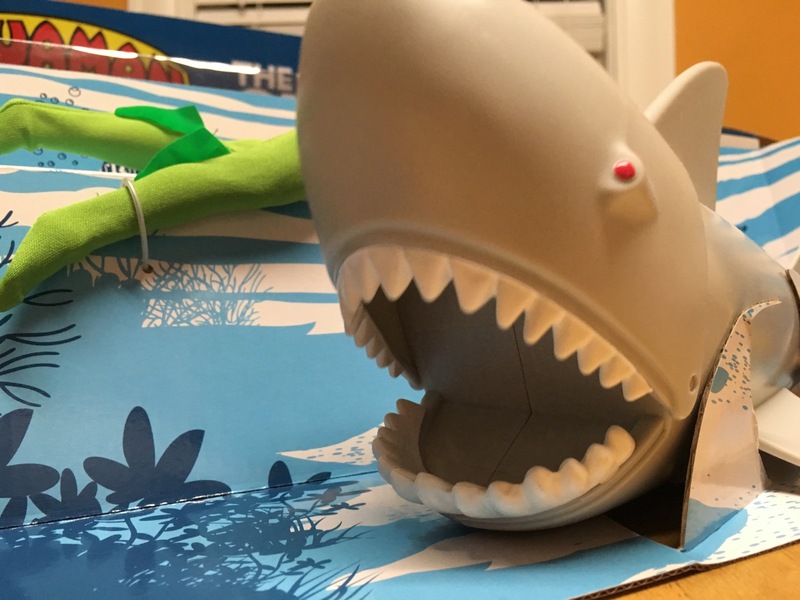 I do not understand toy rage or toy territorialism and I never will. Because, good lord, this is fun. 8. Now, at the same time, be very, very careful. 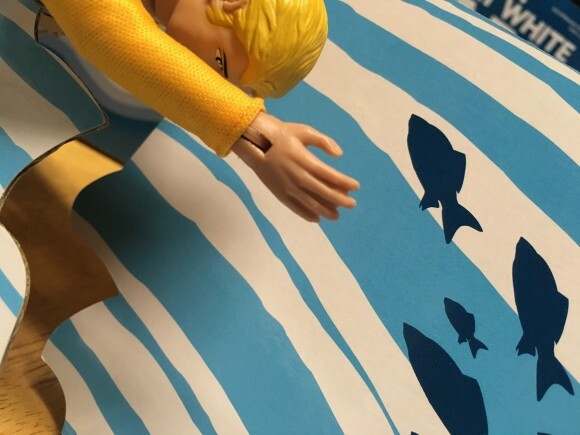 Figures Toy Company’s figures are fragile. These are not the Megos from when you were a kid. They may look great, but they cannot take a beating. So make sure you treat them delicately because an arm can fall off when you least expect it. 9. 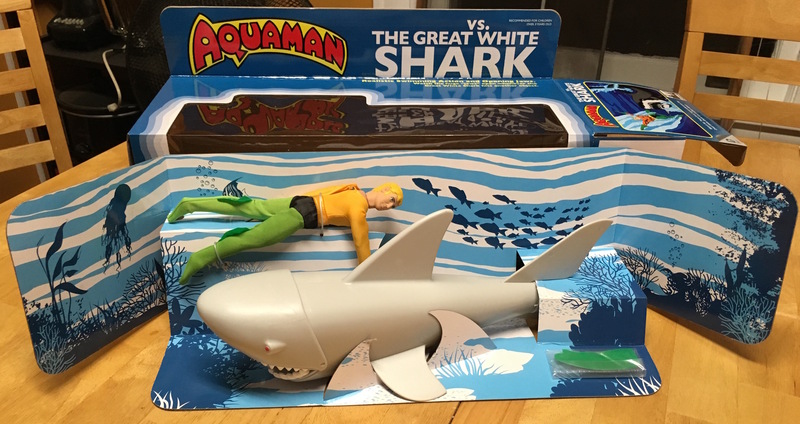 More people have heard about the Aquaman/Shark playset than actually ever owned it. And until now, I’ve counted myself among those collectors. Obviously the set was out there but it escaped my notice until my adult years — but there was no way I was going to repeat that oversight. Those originals are rare — and outlandishly expensive. 10. 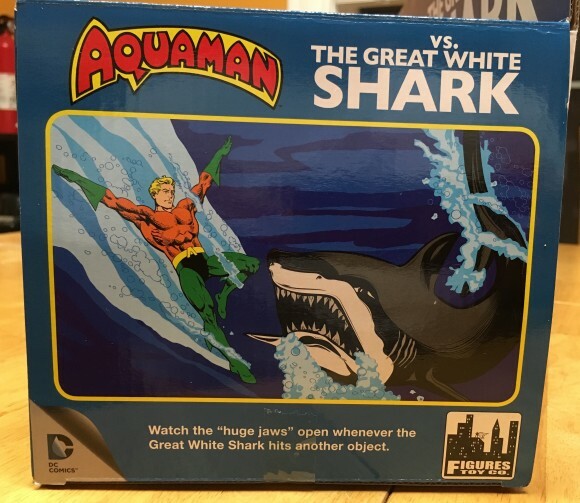 Figures Toy Company is now shipping, but I don’t suggest waiting until the last minute if you want this for Christmas or want to get this for that special Atlantean in your life. Shipping can be slow. 11. 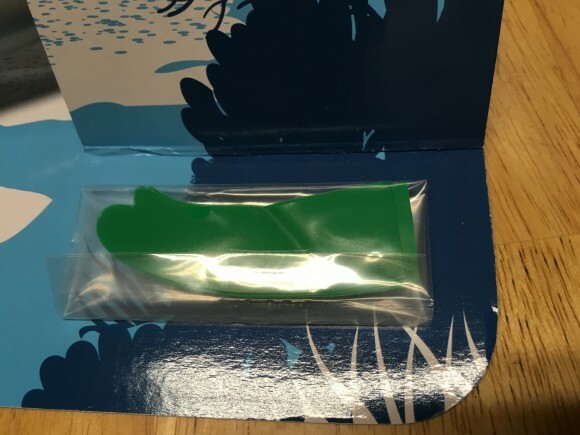 The box is very close to the original packaging, making it display worthy. 12. 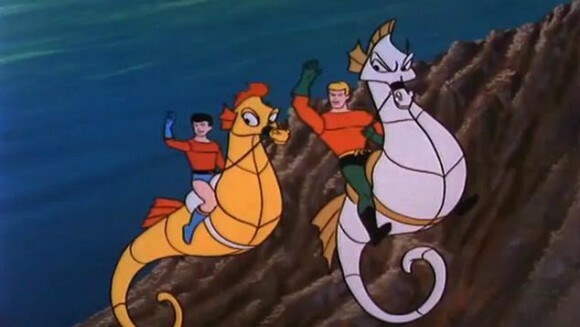 It’s stuff like this that has made Aquaman perhaps my favorite superhero outside the Batfamily. This is all about wonderment. 13. You’re gonna need a bigger shelf.